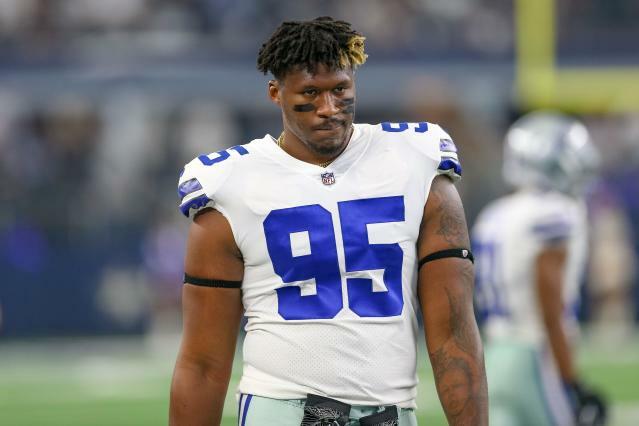 Former Dallas Cowboys defensive tackle David Irving made headlines when he surrendered a playing career in the NFL in exchange to freely smoke weed. In an exclusive interview with USA Today Sports, the retired pro is opening up about his future endeavors in the field of cannabis. Irving minced no words when it came to one of his final interactions with Cowboys head coach Jason Garrett, revealing the longtime boss told him to quit playing so he could smoke without repercussions. While still employed with the league, Irving accrued three suspensions in the last three offseasons for breaching the NFL’s performance-enhancing drug and substance-abuse rules. On the contrary, Irving said owner Jerry Jones supported his decision to leave the team. “Basically, Jerry, he is supportive of me. He understands my situation and what I was dealing with. Our hands were pretty much tied. His hands were tied,” Irving said. Irving announced his retirement on March 8, lighting a blunt on his Instagram as he delivered the news. Even though Irving remained on the Cowboys’ roster for the entire season, the former Iowa State player did not suit up after October. While the Cowboys front office did not respond to USA Today’s request for comment following Irving interview, Garrett did address Irving’s status with the team during the NFL combine in February. Irving and the Cowboys staff have not been in communication, however defensive coordinator Rod Marinelli has reached out to him at least once since the season ended. Now that his playing days are behind him, Irving is focusing his attention on the ever-growing marijuana industry. Ghost Beverages Marketing manager Patrick Williams confirmed with USA TODAY Sports that the company and Irving agreed to undisclosed terms. The California-based company is in talks to release two products under Irving’s new brand DI95: cannabidiol pre-rolls (joints) and cannabidiol vape pens. Irving also confirmed he will serve as executive producer of a new docuseries called “Shut Up and Tackle,” which focuses on the league’s controversial stance on drug use. Irving believes with more research, the NFL can hopefully adopt a more lenient approach to using marijuana for medicinal purposes. Not only does he affirm it can help the ongoing concern with concussions, but also benefit athletes who suffer from mental illness.